Describes the Java virtual machine, the abstract computer on which all Java programs run, and several core Java APIs that have an intimate relationship to the virtual machine. 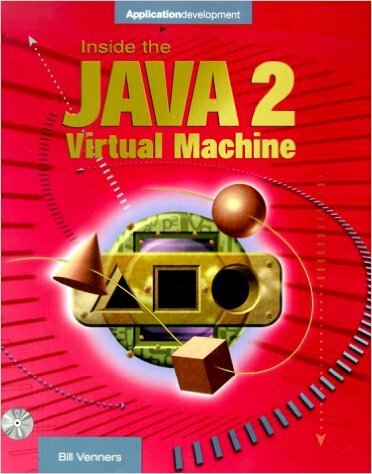 This book describes the Java virtual machine, the abstract computer on which all Java programs run, and several core Java APIs that have an intimate relationship to the virtual machine. Through a combination of tutorial explanations, working examples, reference material, and applets that interactively illustrate the concepts presented in the text, this book provides an in-depth, technical survey of Java as a technology. Inside The Java Virtual Machine was to explain the Java virtual machine, and several core Java APIs closely related to the virtual machine, to Java programmers. Although the Java virtual machine incorporates technologies that had been tried and proven in other programming languages, prior to Java many of these technologies had not yet entered into common use. As a consequence, many programmers will be encountering these technologies for the first time as they begin to program in Java. Garbage collection, multi-threading, exception handling, dynamic extension--even the use of a virtual machine itself--may be new to many programmers. The aim of this book is to help programmers understand how all these things work, and in the process, to help them become more adept at Java programming. :) This is the best book one can find if one has to understand thoroughly about the Java architecture and its internals. :) Because so many Java books are not written to such standards of technical excellence, I urge current and future Java book authors to read Venners's book..."